The Women’s World Cup was contested for the first time only 24 years ago. The 2015 FIFA Women’s World Cup starts today. It will be a competition between 24 countries and broadcast to billions worldwide. An enormous event and a huge celebration of the sport but it was a long time coming. Back in the early centuries when football was just invented and games were being played for leisure, women were welcomed participants. There was even the British Ladies Football Club founded in 1894 but was frowned upon by the predominantly male society and received no financial support. Men saw it as a threat to the ‘masculinity’ of the game. A stigma that surprisingly still exists today. 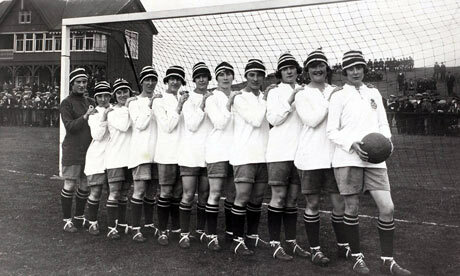 An English women’s football team from 1920. Hard to believe the FA banned them for decades! Women’s football saw an increase during World War I and the men were off and fighting. However women’s football received a blow in 1921 when the Football Association (the FA), outlaws the play of women’s games on FA-associated pitches. Despite that, the English Ladies Football Association was formed after the ban was instituted. It wasn’t just England that looked down upon women’s football. Many other countries would look down too. Once again the stigma of the ‘masculinity’ of the game. Even Brazil had a case where women’s football was growing up to 40 teams in the 1940’s until it too was banned. The ban wasn’t lifted until 1979. You can’t keep the desire down. The FA’s ban on women was eventually dropped in 1971 shortly after the Women’s FA was founded in 1969. In North America while soccer was starting to grow in popularity around the beginning of the 1970’s, girls teams were organized along with boys teams. That may explain why the US and Canada do well. In the 1980’s, women’s national teams were formed like the U.S. team in 1985 and the Canadian team in Winnipeg on Canada Day 1986 (July 1st). Japan became the first country to have a female semi-professional league: the L-League founded in 1989 that still exists today. As women’s national teams were emerging, FIFA knew they had to do something to encourage the competition but were reluctant to give women their own World Cup. In fact FIFA organized the FIFA Women’s Invitational Tournament in Taiwan in 1988. It was actually a test to see how successful of a competition it would be. Contested over two weeks, it was a success and weeks later, FIFA approved implementing a Women’s World Cup competition. 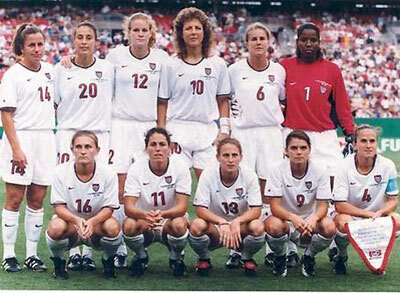 The 1991 US women’s World Cup team: the first ever Women’s World Cup winners. The first FIFA Women’s World Cup was held in China back in 1991. FIFA was still reluctant to call it the World Cup so it was called the 1st FIFA World Championship for Women’s Football for the M&Ms Cup. Twelve countries competed in six venues across the country. Ticket sales were a success with a total of over 50,000–an average of almost 20,000 per match–and the U.S. won the Cup with their teammate Michelle Akers the highest scorer of the tournament with 10 goals. 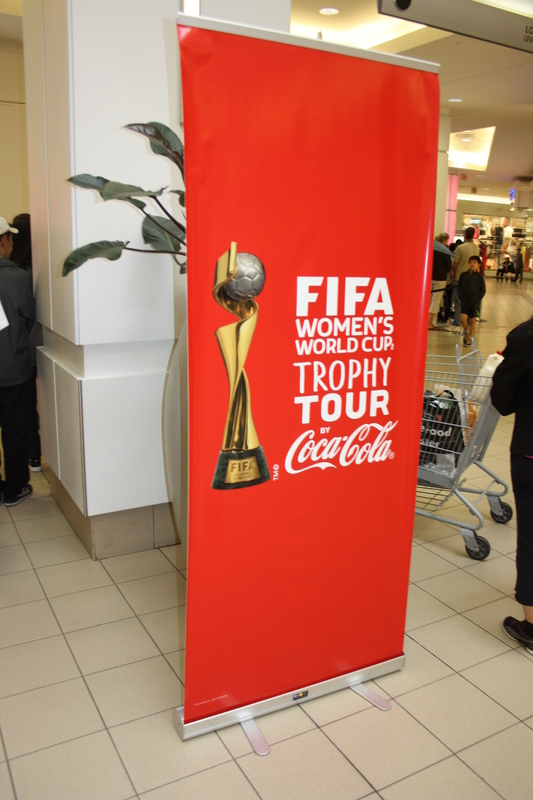 The success of the 1995 tournament helped paved the way for further World Cup competitions and women’s football being added to the Olympic program starting in 1996. The 1995 World Cup in Sweden however was met with lackluster success as ticket sales were only above 112,000: a sign that women’s football had a long way to go in Europe. Things looked a lot more positive with women’s football contested at the Atlanta Olympics the following year. Despite having only eight teams playing for the gold, ticket sales totaled almost 700,000 including 76,489 for the final which the U.S. won. Brandi Chastain’s shirtless celebration from USA 1999. One of the most iconic images of the Women’s World Cup. It’s no wonder the U.S. hosted the next World Cup in 1999. The U.S. really did an intense job of marketing the event and it paid off. Ticket sales totaled over 1.2 million– more than double that of China 1991 and ten times that of Sweden 1995– and the Rose Bowl Stadium was sold out for both the third-place match and the final for the Cup with 90,185 each. The Women’s World Cup would have continued success over the years. Even if none of the successive tournaments have broken the attendance record of USA 1999, they’ve still given impressive results such as the 1.156 million who saw games in China in 2007. The 845,000 tickets sold during Germany 2011 showed Europe’s increasing welcoming of women’s football even though the top male continents like Europe and South America still lag behind that of Asia and North America. Despite the increase of fanfare and support in women’s football, it’s still lagging behind in terms of parity with the men’s sport. It’s not like tennis, golf, athletics or swimming where female athletes are almost on par with the men. Nor is it like figure skating or gymnastics where the women actually steal the show from the men. There are many countries that still see football as a ‘men’s sport’ and the women are given lackluster attention. There was even a row last week when EA sports video games announced in their FIFA 16 game, women’s players would be included for the first time. There were a lot of sexist tweets on Twitter, overshadowing the 98% of tweets that were positive and welcoming of women’s inclusion in the game. Nevertheless great strides have been made over the years. Since the 1990’s there have been women’s continental tournaments like the Women’s Euro and the Copa America Feminina. Professional leagues in Europe like the Bundesliga, Premier League and France’s Division 1 have included a women’s league and top men’s team have included women’s braches of their team. England even contests the FA Women’s Cup annually. Women’s football is still supported well with high school teams and NCAA college teams. The MLS has also included female branches of teams. In Brazil, Marta has become a beloved athlete of the country and has even received welcome from other male players like Pele and Neymar whom describes Marta as ‘craque’ (Portuguese for phenomenal). FIFA also has a special section of their organization focusing on women’s football dedicated to improving the game and its availability to young girls and women around the globe. Every World Cup since 1995 there has been a symposium on women’s football and this year’s symposium is slated for Vancouver from July 3rd-5th. 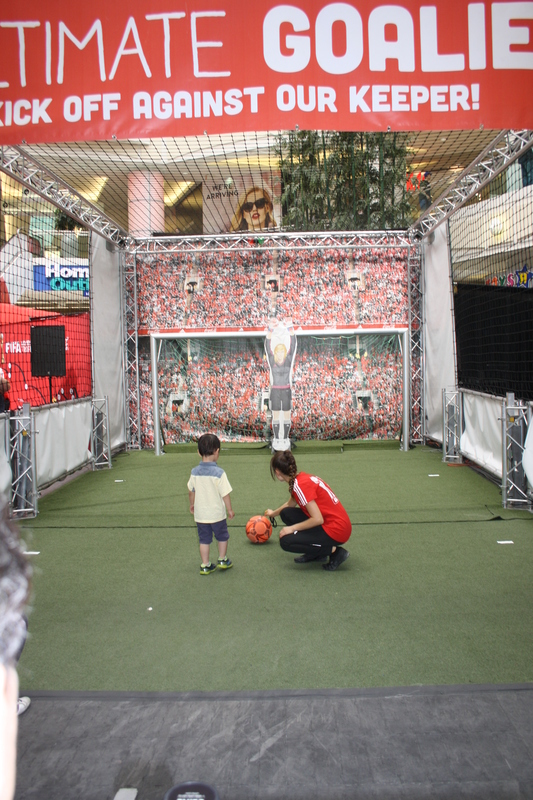 This year FIFA included campaigns such as the Live Your Goals social media campaign through the #LiveYourGoals hashtag. Another FIFA campaign is the ‘No Barriers’ campaign through video commercials. Its goal is to increase the global number of young girls and women playing football form 30 million to 45 million by the 2019 Women’s World Cup. There’s no question man’s football has no further to go. It’s already universal and the most popular sport in the world. Women’s football is still growing but never before has the future of women’s football looked more ambitious and more promising. 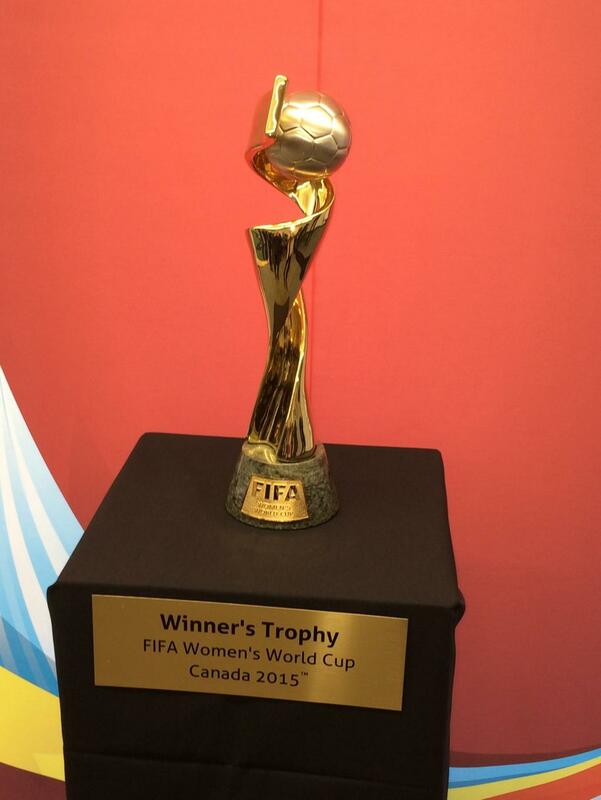 Canada will host the sixth edition of the FIFA Women’s World Cup. 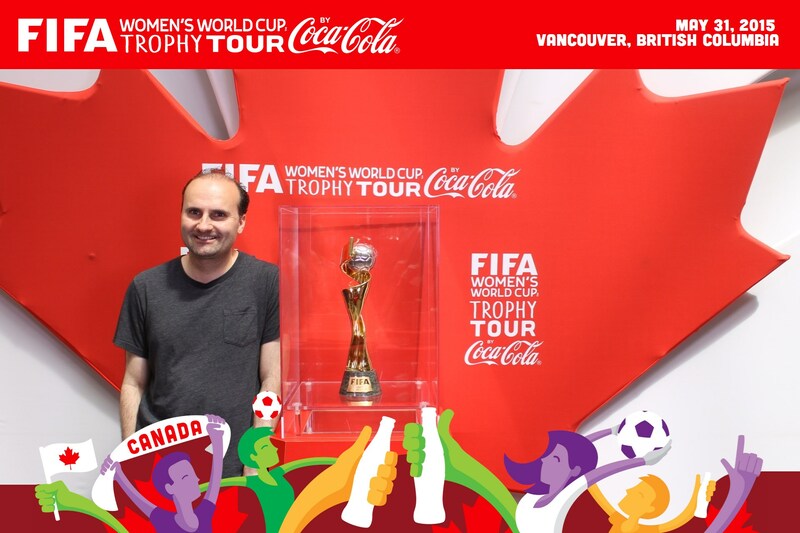 The FIFA Women’s World Cup is coming and Canada is to be the host nation. This is to be an exciting time for both the country and the sport of women’s football. This marks the first time Canada has ever hosted a World Cup. Canada has hosted past soccer tournaments for FIFA like the 1987 U-16 World Championships, 2002 U-19 Women’s World Championships, 2007 Men’s U-20 World Cup and last year’s U-20 Women’s World Cup. It’s up to the challenge. And a new challenge for the Women’s World Cup as this year the number of competing teams have been expanded from 16 to 24. Throughout the next two weeks, I will be doing an analysis of each first round group and even making judgments on who I think will come out on top, come second and even come third. I don’t think I’ll predict the wildcard advancers as that will be too tricky. I’ll just limit to a third-place prediction. The number in brackets below is the FIFA Women’s Ranking for May 2015. 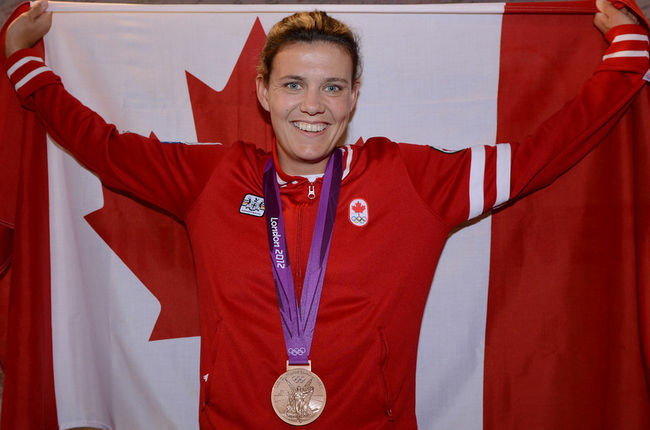 Christine Sinclair will captain possibly Canada’s greatest women’s soccer team ever. They already have an Olympic bronze to their feats. -Canada (8): The Women’s World Cup is where Canada can show off its football prowess. Our men have only qualified for a single World Cup all the way back in 1986 which leaves us cheering for whoever during the World Cup; most of the time the country of our ethnic background. As for our women, the only World Cup they didn’t qualify for was the inaugural one back in 1991. Canadian women have an impressive resume of their own such as two CONCACAF Championships and an Olympic bronze medal from 2012. In fact their bronze was Canada’s favorite memory of those Olympics. Even I remember the excitement I felt and even referred to them as ‘our girls.’ Naturally so since soccer is probably the team sport in Canada with the most female participation. Even more than hockey. In fact this World Cup should make Canada proud as it is one nation that has one of the best instances female participation in soccer. Heck, our female stars like Christine Sinclair and Melissa Tancredi are bigger household names than our male stars! However it’s not to say the women are looking for their own World Cup glory. This may be our sixth World Cup but Canada has only advanced past the Group Stage once back in 2003 where they finished fourth. In fact Canada lost all three of their Group Stage matches at the last World Cup back in 2011. Things changed after Canada recruited English coach John Herdman after he finished coaching New Zealand. After that, he helped guide Canada to gold at the Pan American Games and the bronze in London. Canada’s chances to qualify to the knockout rounds are not only great but they also have good chances to come out on top. They beat China in their last game. They’ve won against New Zealand in six of their ten meetings and won against the Netherlands in ten of their eleven meetings. They also look good to win their Round of 16 match but things look to get tougher around the quarterfinals. Nevertheless this World Cup is anyone’s game. Women’s football has progressed to the point that there are now many equals at the top rather than one to rule them all. Canada could just provide the surprise. -China, People’s Republic of (16): Is it too soon in women’s football to call China a ‘blast from the past?’ It’s easy to dismiss it as one. The ‘Steel Roses’ have an Olympic silver medal from its first Olympic contest in 1996 and were runners-up to the Cup in 1999 where they lost to the US on penalty kicks. China hosted the World Cup twice during the very first in 1991 and in 2007. However they had a recent setback when they did not qualify for either the 2011 World Cup or the 2012 Olympics. Even their dominance of the AFC Asian Cup in the 90’s have faded and even finished out of the medals for the first time back in 2010. Nevertheless China are determined to comeback. They had good moments such as beating many top Asian teams last year and even winning against Argentina 6-0. However Argentina was their last win back in December of 2014. Right now it’s safe to say China’s in comeback mode but it will take a lot of effort for them to come back. A lot has changed in women’s football since their glory days of the 90’s. -New Zealand (17): How ironic is it that John Herdman’s team from the last World Cup is pitted against Canada in the Group Stage? This will be the fourth World Cup for the ‘Football Ferns’ however they have yet to establish themselves. They have not made it past the Group Stage in their three appearances. They haven’t even won a World Cup game yet. They did make it to the quarterfinals at the London Olympics showing improvement already. This World Cup looks to be one where the women want to show how much they’ve improved. They may have had recent losses to the bigger countries like the U.S., Japan, France and Norway but they have tied Brazil and Spain and even won against Denmark. This World Cup is another proving point for them. Also with the potential of three teams from each group advancing, chances look better than ever. -Netherlands (12): The Netherlands is one of eight teams competing in their very first World Cup here in Canada. The women, whom like the men are also called ‘Oranje,’ do not have a legacy but they have developed a reputation in recent years. In 2009, they qualified for their first-ever Women’s Euro and finished third. Even though they still lack the experience of the other three teams in Group A, they should look at this as a learning experience. It’s even possible the Netherlands will be a top challenger in the future. They could even cement their name here. They have never won against Canada and have more losses than wins against China and New Zealand but they have won their most recent meetings with both teams. Netherlands could pull an upset. NOTE: This Women’s World Cup will act as a meet for European teams to earn berths for the 2016 Summer Olympics. The top three European teams here qualify for Rio. This looks to be Canada’s best World Cup. The team looks in good shape, especially with Christine Sinclair as captain. I strongly believe they’ll come out on top. It’s harder to predict second or third. It can go to any of the other three. For this group, I predict China to be second and the Netherlands to be third. This stadium was actually opened just two years ago. It was needed because the 50+ year old Winnipeg Stadium was long past its prime. Actually it was to be opened in 2012 but construction delays pushed opening to the following year. 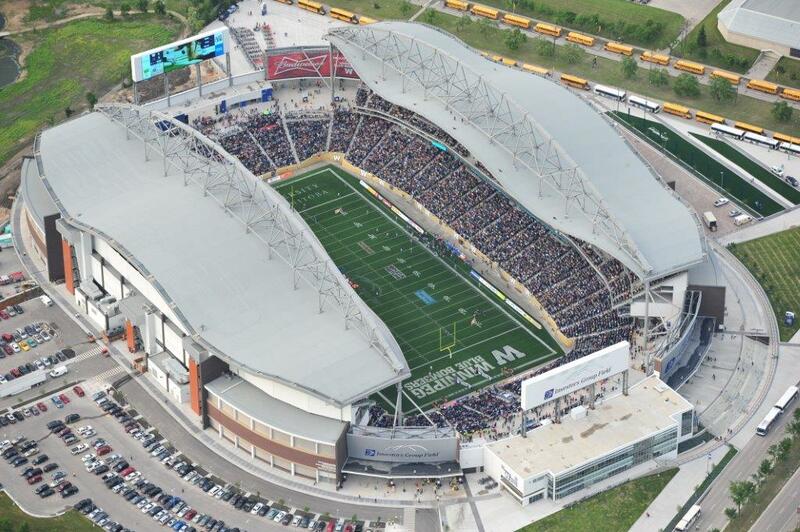 The stadium, which is actually anmes as the Investors Group Field, is home to the Canadian Football team Winnipeg Blue Bombers and will actually host the Grey Cup in November this year. The new stadium was also the stage for concerts by Taylor Swift, Paul McCartney, Beyonce and Jay-Z and have One Direction coming in July. 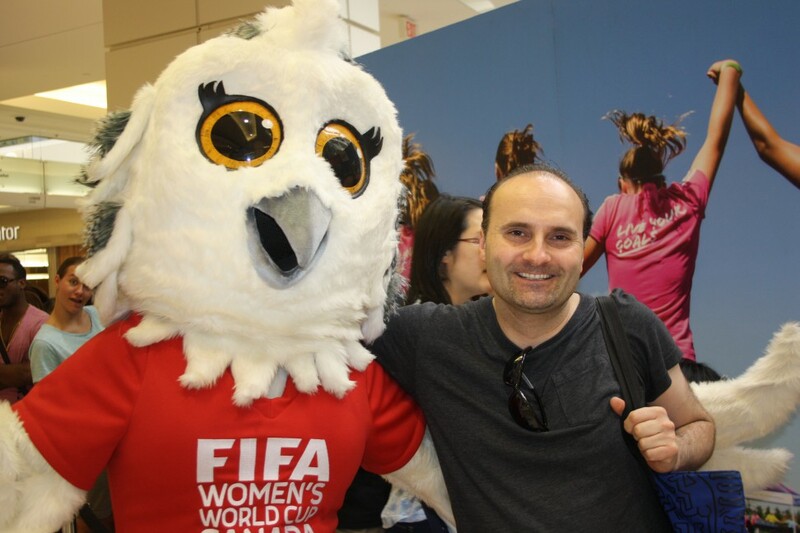 They even held their first soccer match in May 2014: a women’s match of Canada vs. the U.S.
And there’s my first preview of the 2015 FIFA Women’s World Cup. Five more preview blogs to go before it all begins Saturday June 6th in Edmonton’s Commonwealth Stadium. The Confederations Cup is as much a pre-World Cup test event as it is a major soccer tournament. So 2014 has the World Cup and 2012 had the Euro. I guess that means 2013 will be devoid of big-time international soccer excitement, right? Wrong! 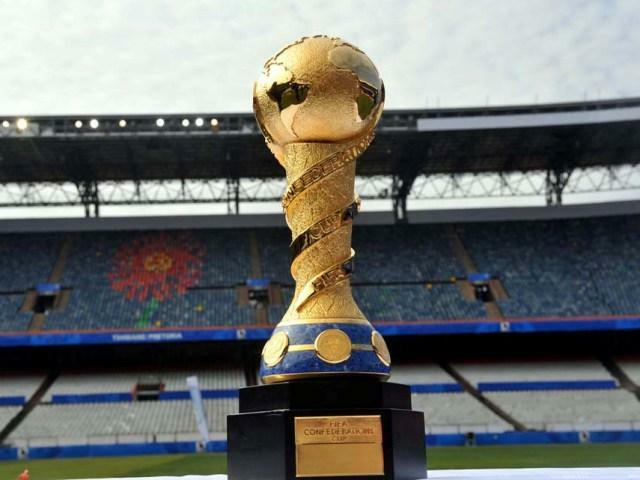 2013 is the year of the Confederations Cup, an eight-team competition held in Brazil. It’s good and important for a lot of reasons. The Confederations Cup is more of an intercontinental competition than international. Six of the eight teams that are competing here have earned their berth by winning their respective continent’s confederation championship. The only exceptions being the World Cup winner and the host country. That’s how the Confederations Cup is contested. 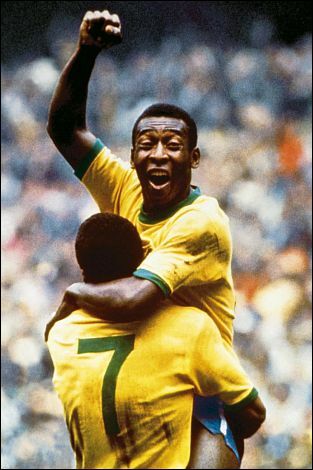 The idea of having a soccer competition of the best of the continents was an idea that evolved over 21 years. Actually the first attempt at such a competition came not with the participation of FIFA. It came through the royal family of Saudi Arabia through a competition called the King Fahd Cup. The first King Fahd Cup was contested in Riyadh, Saudi Arabia over five days in October 1992 and consisted of Saudi Arabia, which was the Asian Cup holder at the time, CONCACAF Gold Cup winner USA, African Cup Of Nations holder Ivory Coast and South America’s Cop America holder Argentina who won the Cup. The King Fahd cup was contested once more in 1995 and expanded to six teams: five continental cup winners and host Saudi Arabia. By 1997, FIFA became involved and the King Fahd Cup had been renamed the Confederations Cup. This is the turning point with the Cup being contested the year before the World Cup and with the competition consisting of the eight teams through the qualifying format that still exists today. There were however two exceptions as two second-place teams from their continent’s championships competed: Czech Republic because Euro winners Germany declined to participate and United Arab Emirates because the hosting Saudis had already qualified as hosts. 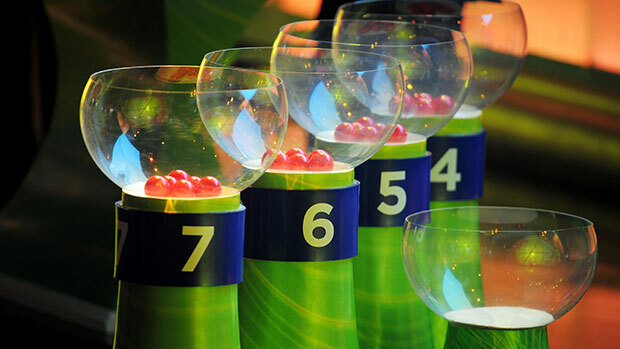 This would also be a new standard for the Cup that if one of the continental cup holders already earned their berth as either host nation or World Cup holder, the runner-up team would be given the continent’s berth. After the 1997 tournament, the Confederations Cup would be contested bi-annually and in a different country every year. The 2001 tournament featured a unique twist as the host countries were Japan and South Korea, the host of the following year’s World Cup. That would be the norm from now on in which the Cup held the year before the World Cup would be hosted by the World Cup host nation(s). Six of the stadiums that were to be for the World Cup the following year were the sites for the Confederations Cup. The Confederations Cup would continue being a bi-annual competition. Germany, the host nation of the 2006 world Cup, would continue the tradition by hosting the 2005 Confederations Cup with five of the venues for the following year’s World Cup used for this event. Since 2005 in Germany, the Confederations Cup has become a quadrennial event and seen as a warm-up event for the following year’s World Cup. South Africa used it to prepare for their hosting of the World Cup and you can be sure Brazil will do the same here. Six venues that will participate in next year’s World Cup including the legendary Maracana stadium will stage this competition. You could say the Confederations Cup has really grown a lot in the last decade. You can be sure with the Cup being contested, the media will be paying close attention to how prepared Brazil is for this event and how ready they will appear to look with the World Cup just a year away. Already the media has paid high attention to Brazil’s troubled preparations for the World Cup. FIFA and even local critics have complained of construction delays and cost overruns. Few infrastructure projects were completed and even the 3G network couldn’t work properly. Even the official musical instrument of the World Cup was a failure as fans of losing teams would throw it on the field. Only two of the six stadiums participating in the Confederations Cup were completed by December and two cities were almost axed from hosting. In fact delays have caused FIFA to make an exception in their pre-World Cup demand that the host country hold three major competitions. It’s not to say it’s all bad. Tickets for the World Cup and the Confederations Cup were a success. Also a record number of volunteers for both the Confederations Cup and World Cup signed up. Even exports from Brazil look optimistic as Brazil anticipates to export $1 billion from this Cup. Brazil has openly vowed it will be ready for the World Cup and even FIFA believes they’re confident Brazil will be ready. There’s only one year to go. -Brazil (22)- You’d think a country like Brazil with a legacy and depth of talent would enter the competition as the favorites but it’s actually not the case. Brazil first surprised everybody at the 2010 World Cup with a quarterfinal loss to the Netherlands. They surprised soccer fans even more by being ousted in the quarterfinals of the 2011 Copa America. Brazil just wasn’t Brazil. Lately Brazil has been making some changes like bringing back coach Luis Felipe Scolari who helped coach Brazil to the 2002 World Cup. Their play has gotten better in a slowly but surely pace. They may have tied Italy 3-3 three months ago but just last week they won a friendly against France who has been traditionally considered Brazil’s ‘Achilles Heel.’ The Confederations Cup could be a turning point for Brazil and send a message how much their team has improved and how far they would have to go to win the World Cup. I’m sure the world will be watching. -Italy (8)- If you remember last year’s Euro, you’d remember it for Italy’s comeback as much as for Spain’s win. Italy was a team that was direly in need of improving after the 2010 World Cup and their qualification for the finals shows how far they came. Their play in World Cup qualifying matches have also been excellent. However they’re not immune to choking as noticed in a 2-2 friendly against Haiti. Nevertheless this tournament can also send a strong message to Italy how their team looks en route to the World Cup. -Mexico (17)- Mexico has always been considered the ‘sleeping giant’ of soccer. The team has always been loaded with talent and skill but they have yet to prove themselves in a big way at a major tournament. They may be the current CONCACAF Gold Cup holders but even now with World Cup qualifying for the CONCACAF they still find themselves third in the standings with the USA leading. This group being the ‘group of death’ in the Cup could also pose a challenge. Nevertheless Mexico could pull one of the big upsets of the tournament. We also shouldn’t forget Mexico won the gold medal in London. It’s a given in any tournament to never count Mexico out. -Japan (32)- If there’s one continent that has grown the most in terms of soccer play in the last two decades, it has to be Asia. And Japan has to be one of its strongest examples of accelerated success. Nevertheless Japan finds itself in a tight situation here in the Cup against three teams known for their legacies and their consistency of play. But don’t count Japan out. They’re the first team to earn a World Cup 2014 berth on play by already leading their AFC qualifying group by a huge margin. Plus they’ve won three of their six matches in 2013. So if any team can most give the biggest surprise at the Cup, it’s Japan. -Spain (1)- How about that? Spain has gone in five years from being ‘soccer’s greatest underachievers’ into the top team in the world. Two straight Euros and a World Cup. They sure have come out of their shell and they come to the Cup as the favorites to win. Heck they haven’t had a single loss not just in 2013 but 2012 too. They look to have an easy Group Stage play but play in the semis and possible finals could make things more challenging for Spain. Just because a team is #1 and undefeated for two years doesn’t mean their infallible. We shouldn’t forget they lost to the USA in the semis at 2009’s Confederations Cup. Here could be yet another achievement in Spain’s recent legacy or a sudden reminder of their own weaknesses. Only the next two weeks will tell. -Uruguay (19)- Uruguay has to be the comeback story right now. It seemed as though Uruguay’s soccer legacy was a thing of the past. Their prowess from the 30’s to the 50’s captured the imagination of the world. However it was their fourth place finish at the 1970 World Cup that appeared to mark the end of Uruguay’s greatness. However recent years has seen Uruguay make a comeback with a fourth-place finish at the 2010 World Cup and the win of the 2011 Copa America. But before you can shout out that Uruguay was back in a big way, it hasn’t been completely easy. They currently stand fifth in the standings of World Cup qualifying play for the CONMEBOL. Nevertheless while their play against South American teams have been a bit of a struggle, their play against other international teams have been quite impressive. This tournament can also send a message to the Uruguayan team in terms of what they need to do to qualify for the World Cup. -Nigeria (31)- Nigeria has always been one of the top African teams. They look impressive in world Cup qualifying right now. The big question is their international play. Not much is known and past international and World Cup play has not given to impressive results. One result that did send a strong message was a 2-2 tie against Mexico two weeks ago. Nigeria could prove to be a stronger team here than most experts think. -Tahiti (138)- Usually the OFC Nations Cup goes to either Australia or New Zealand. Last year it went to little Tahiti! Tahiti has become the least populous nation ever to win a continental championship. Here at the Cup, Tahiti’s biggest victory is just simply qualifying. Not much is expected since all the other teams have stronger depth in talent and international experience. In fact Tahiti is the only team at the Cup that doesn’t have a chance in even qualifying for the World Cup as the Oceania contestant for a berth against a CONCACAF team is New Zealand. Nevertheless the Cup can be a valuable learning experience for Tahiti. They’ve had hardly any international experience outside of Oceania. Now’s their chance to experience play against some of the best teams in the World. Despite their meager chances of qualifying for further play, Tahiti is probably the only team at the Cup with nothing really to lose and everything else to gain. So there’s my rundown of the eight teams for the Confederations Cup. I’m not going to hazard predictions until the Group play is done and the semifinal berths have been decided. In the meantime stay tuned to see who will win the 2013 Confederations Cup. And stay tuned to see how ready Brazil appears to be for hosting next year’s World Cup. Both should be interesting to see. -Ryan Lochte/USA – Swimming: A lot of attention is focused on Michael Phelps ending his legendary Olympic career with a bang. However Ryan Lochte is one swimmer that could steal the show from Phelps. Like Phelps, he also qualified for four individual events. Unlink Phelps, he’s the one this time around with his face on more magazine covers than any Olympic athlete. Here in London, he will attempt to defend his 200m backstroke title and rival Phelps in both individual medley events. Actually Lochte has an advantage over Phelps as he holds the world record in the 200 and finished ahead of Phelps in the 400 at the Olympic Trials. Looks as though London may not only be the last hurrah for Phelps but also a possible changing of the guard with Lochte. It will all be decided in the London Aquatics Centre. -Kosuke Kitajima/Japan – Swimming: There’s a lot of talk of Michael Phelps threepeating in four events. The thing is he may not become the first male swimmer to do so. That could be Japan’s breaststroker Kosuke Kitajima. Kitajima has already won both the 100m and 200m breaststroke events in both 2004 and 2008, making him one of only six swimmers to achieve a ‘double-double’ in swimming. 2011 was a difficult year for Kitajima as he only won a single bronze medal at last year’s Worlds. Nevertheless this year has seen him return to his winning form as he has the world’s fastest time in both the 100 and 200. But don’t think another double here is going to be easy for him. The 200 will be his toughest challenge as he will face the rivalry of Hungary’s Daniel Gyurta and his teammate Ryo Tateishi who’s best time of the year is just .17 seconds behind Kitajima’s. Nevertheless Kitajima trying to be the first to achieve a ‘triple-double’ in swimming should prove to be exciting. -Kenenisa Bekele/Ethiopia – Track and Field: This Olympics seems like to be one where a lot of events have a chance of a threepeat happening. Track and field also has the potential of some threepeats: Jamaica’s Veronica Campbell in the women’s 200m, Isinbaeva in women’s pole vault, Norway’s Andreas Thorkildsen in men’s javelin and Ethiopia’s Kenenisa Bekele in the men’s 10000m. Bekele has had a stellar running career ever since he burst on the scene back in 2003. He holds the world records in both the 5000m and 10000m, has won a total of five World Championships and has won three Olympic gold and one silver. Beijing was especially stellar as he performed the 5000-10000 double. However 2011 was not a kind year for Bekele as he sat the year out with injuries. He has since regained his old form and has posted the third-fastest 10000 time in the world this year only less than a second behind the fastest. Will a threepeat happen here? Mark your calendars August 4th and tune in. -Allyson Felix/USA – Track and Field: Allyson Felix is one of the best 200m runners ever but she’s still missing that Olympic gold in that event. She first burst onto the scene back at the 2004 when she won a silver medal in the 200 at the age of 18. She also set a world junior record upon winning that medal. The following year she won the 200m at the World Championships becoming the youngest sprinter ever to do so. She repeated as World Champion in the 200 in 2007. However she again won Olympic silver in 2008 finishing second again to Jamaica’s Veronica Campbell-Brown. She did however win a gold as part of the USA’s 4*400m relay. Nevertheless she’s still chasing down that elusive 200m gold here in London. Last year was a bit of a shock for her as it was the first World Championships since 2003 where she didn’t win the 200m, finishing 3rd. However she’s run the world’s fastest 200m time this year–4/10 of a second faster than the second-fastest–and she’s the heavy favorite to win that event. She also will compete in the 100m here in London where she actually finished in a tie for third at the Olympic trials with Jeneba Tarmoh. Although Felix was the one who got the birth, both will compete in the 4*100 relay. Nevertheless it’s the 200m that will be the big focus for her. Will her time finally have come? Her fate will be decided August 8th. -Kerri Walsh and Misty May-Treanor/USA – Beach Volleyball: It’s not just individual events where threepeats could happen here in London. There are some team events too. The beach volleyball duo of Walsh and May-Treanor could do just that. Both women started as indoor volleyball players. May-Treanor switched to beach volleyball in 1999 she teamed up with Holly McPeak and finished 5th at the 2000 Olympics. At those same games Walsh was part of the USA’s indoor volleyball team where the US finished 4th. Soon after Walsh switched to beach volleyball, was paired to May-Treanor, and the rest is history. Actually it started slow with a 9th place finish at the 2001 World Championships. Since then it was a legendary pair in the making with three world Championships and Olympic victories in 2004 and 2008. Since Beijing they’ve had their difficulties. They lost their competitive edge in 2009 losing early in tournaments and May-Treanor badly injured her Achilles tendon not by playing or training but as a contestant on Dancing With The Stars. 2011 saw the two return to competition where they finished second at the World Championships to Brazilian pair Larissa and Julianna. They’re confident they can win in London. Will they do it or will it be a changing of the guard? It will all be decided at the Horse Guards Palace. -Karen Cockburn – Trampolining: The trampolining event for both men and women have only been contested at the past three Olympics and Karen Cockburn has won a medal in all three: bonze in 2000, silver in 2004 and silver again in 2008. In 2011 she had to deal with both injury and illness which left her out of major competitions. She would finish fourth at the Worlds that year. Nevertheless she looks strong for London and is a medal favorite once again. Also keep an eye on another Canadian, Rosie MacLennan, as she won a silver at last year’s Worlds. London could be another triumph for Karen or a passing of the torch to Rosie. August 4th’s the date to decide it. -Clara Hughes – Cycling: There are two Canadians that will have two of the most illustrious sports careers of the whole team. One is equestrian rider Ian Millar competing in his record-setting tenth Olympics. The other is Clara Hughes, competing in her sixth Olympic Games. She has won a Canadian record total of six medals in both cycling and speed skating. Her Olympic success in cycling came at the 1996 Atlanta games winning two bronzes. Her last Olympic appearance in cycling was in 2000 as she retired years later to focus on speed skating where she has won four Olympic medals including a gold in the 5000m in 2006. She was also selected to be Canada’s flag bearer at the opening ceremonies of the Vancouver 2010 Winter Olympics where she won her last speed skating medal, a bronze in the 5000m. Shortly after retiring from speed skating she made a return to cycling in November 2010. She will compete in the road race and the time trial. She is not favored in either event but both are events where even a non-favorite can be a winner. Whatever the results, it will make for another exciting moment for the 39 year-old’s exciting career. -Paula Radcliffe – Marathon: Paula is one of the most respected British women in track and field competing here in London. However she is still searching for her first Olympic medal. Her first Olympic appearance was at the Atlanta Games in 1996 where she finished 5th in the 5000. She won her first World Championships medal in 1999 with a silver in the 10000. She would finish 4th in that event at the Sydney Games in 2000. After the 2000 Olympics she would have an incredible career in Marathon running winning both the London Marathon and the New York Marathon three times, winning the Chicago Marathon in 2002 and the World Championships Marathon in 2005. She also holds the world record in the marathon with her winning time at the 2003 London Marathon of 2:15:25. Olympic marathons have been bad luck for her as she competed in 2004 as the heavy favorite but dropped out because of injury. The injury also caused her to drop out of the 10000m. She competed in Beijing finishing 23rd in the marathon. Now 38, she has qualified for the Olympic marathon with a qualifying time at last year’s Berlin Marathon where she finished 3rd. This may be her last Olympics in an illustrious career. She has made mention that she’s trying to heal a foot injury. Win or lose, the whole nation will be behind her. -Bradley Wiggins – Cycling: British cyclists have some of the biggest Olympic feats ever. Chris Hoy, who will be the flagbearer for Britain at the Opening Ceremonies, is one of two cyclists to win four golds. The other being Dutchwoman Leontien van Moorsel. Bradley Wiggins is the only other cyclist besides van Moorsel to win six Olympic medals. He’s also the second British athlete besides rower Steven Redgrave to win six Olympic medals. All of Wiggins’ previous medals have been in track cycling. Here in London he will compete in the two road events: the road race and the time trial. He has a lot of potential to set new medal-winning records there especially after he just won the Tour de France last week. A lot of excitement awaits. Oh, as for Hoy, he will be competing in one event: the team sprint. -Great Britain Men’s Soccer Team: Interesting to know that FIFA recognizes England, Scotland, Wales and Northern Ireland as their own nations and can field their own ‘national’ team for events like the World Cup. 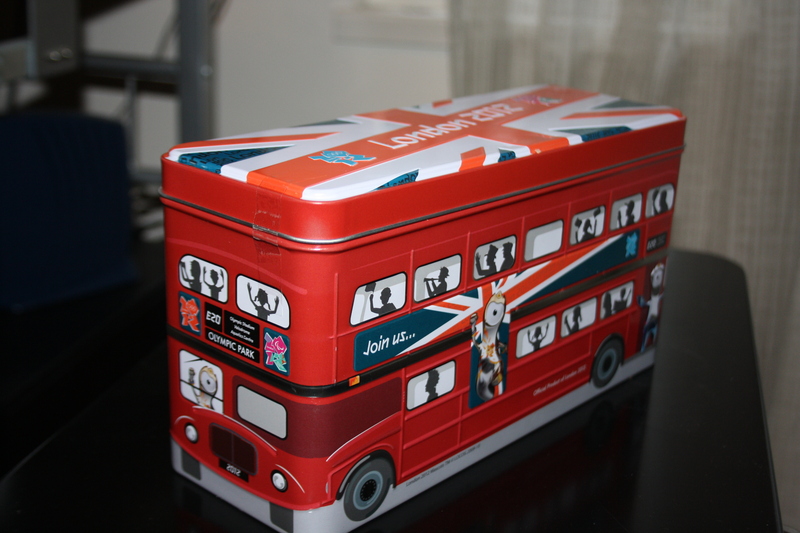 The International Olympic Committee thinks otherwise and will only recognize Great Britain as a nation. Great Britain has qualified a soccer team in eight previous Olympic Games, winning gold in 1908 and 1912. The last time the British soccer team appeared at the Olympics was in 1960. With Great Britain hosting the 2012 Olympics, there was to be a British team in the soccer tournament as host nation. Even Prime Minister Gordon Brown suggested in 2008 that a Great Britain team was ‘vital’. However the Scottish, Welsh and Northern Irish football associations first refused feeling it might affect their status with FIFA. FIFA gave a May 2009 deadline to settle the row. The three dissenting associations said they would not participate in a unified UK team but would not prevent England form fielding a team under that banner. Jim Boyce, vice-president of FIFA and Englishman, steeped in and said non-English players have the legal right to be considered for Team GB. Anyways after years of association politicking, public opinion polls and words from politicians from all four countries, there is a Team GB in Olympic football. All but five of the players are English–the five that aren’t are Welsh– and they come from some of the UK’s best clubs like two from Manchester United, two from Tottenham Hotspur, two from Chelsea, one each from Arsenal and Liverpool, and three from Swansea City. Sports Illustrated predict them to win bronze. After all that politics, it’s time for them to play. And there you have it. One last set of Olympians to watch in London. I wish I could tell you more how like Zara Phillips is following in the footsteps of her mother, Princess Anne, by competing in equestrian or Canadian canoer Mark Oldershaw who’s the fifth Oldershaw in three generations to paddle at the Olympics. However I better call it quits before I get the urge to write about any more Olympians to watch. In the meantime, let the seventeen days of drama, excitement and glory begin!